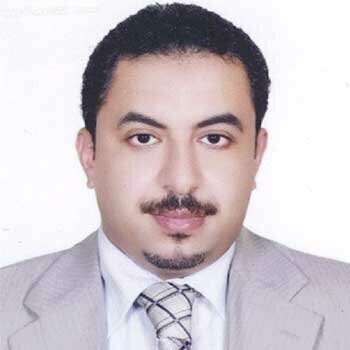 Dr. Mohamed F. R. Hassanien is currently working as a Professor of Biochemistry at Zagazig University, Egypt. Dr. Hassanien obtained his Ph.D. in Food Chemistry from Berlin University of Technology, Germany in 2004. As post-doctoral researcher, Prof. Hassanien continued his research in ranked universities in different countries such University of Helsinki (Finland), Max-Rubner Institute (Germany), Berlin University of Technology (Germany), and University of Maryland (USA). In 2010, he was invited to be visiting Professor (100% research) at King Saud University in Saudi Arabia. In 2012, he was invited to be visiting Professor (100% teaching) in School of Biomedicine, Far Eastern Federal University in Vladivostok, Russian Federation. Prof. Hassanien published more than 140 papers, reviews in international peer-reviewed journals with high impact factor as well as some books and book chapters (recent h-index is 28). He was participated and invited speaker in several international conferences. Since 2003, Prof. Hassanien is a reviewer and editor in many highly-cited international journals. Prof. Hassanien received Abdul Hamid Shoman Prize for Young Arab Researcher in Agricultural Sciences (2006), Egyptian State Prize for Encouragement in Agricultural Sciences (2009), European Young Lipid Scientist Award (2009), AU-TWAS Young Scientist National Awards (Egypt) in Basic Sciences, Technology and Innovation (2013), and Atta-ur-Rahman Prize in Chemistry (2014). His current research interests are chemistry of bioactive compounds and impact of processing on functionality and properties of food components.